The best words about Antoinette were actually written by Daniel Ducruet, in "Letter to Stephanie". Until then, all the biographies I had read about the Grimaldis had been fairly negative. Ducruet described her as a very warm, fun-loving as well as funny, accepting and generous person who embraced him into the Grimaldi fold at once. She was the one who worked hard at making him feel at ease in a princely family. The fact that the statements come from Ducruet (or whoever his ghostwriter was), should not discredit these words. It also shows a great love for her niece Stephanie. When is the Funeral Mass? I think it's tomorrow morning. shows a great love for her niece Stephanie. Its not really that surprising.I mean she likely faced a lot of talk in her own family, as she didn't live the expected life of a princess. She was a wonderful woman, and her acceptance and attempt to make Daniel feel welcome in the fold, seems right in character for her. The Princess will be interred in the Chapelle de la Paix in the Cathedral. 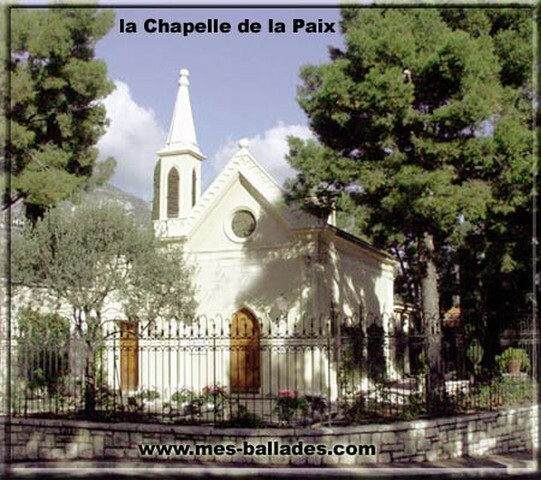 The Chapelle de la Paix is not in Monaco Cathedral its a seperate RC Chapel.It was built in 1863 & is situated at the Avenue des Pins in Monaco. I believe Prince Pierre of Monaco & Stefano Casiraghi are both buried there. Well, i don't know about P.Pierre, but i know for sure that Stefano is! There are loooaaads of magazine articles saying so...and documented with pictures!!! A little late posting this but a fairly lengthy obituary from the Telegraph & pic. Very interesting article about the interesting Princess. A sweet story, a sweet lady! What a magnificent woman she must have been. In that picture you can tell she has taste. I formerly read most of the posts on this topic and though not contributing and stopping when it was closed I really understood that this woman brought out so many emotions and feelings from the public and she is someone I have become endeared to. That photo speaks wonders that if we could repeat or emulate as then then we would look and clothe awesomely. I look back to the past and I wish we were still there in ways I guess. People got it very right sometimes in the days when the west expanded and grew wholesomely. But cultures and philosophy and outlooks are tentative to norms and expectations and they can evolve along with health and good tidings. Boy I wish sometimes that we could remain happy everyone and all. Sometimes we have issues keeping it together yet the World is all we got. So we will see if history and cultures around find satisfaction. It's a dream or a aiming but the truth sets you free. And man I look at the movies and really get entertained. I guess I'm a comedian and appreciative member of all I can find happiness in. May Princess Antoinette be remembered as someone I read here as finding to be missed and honored. May she and all regal members live on. Good day.